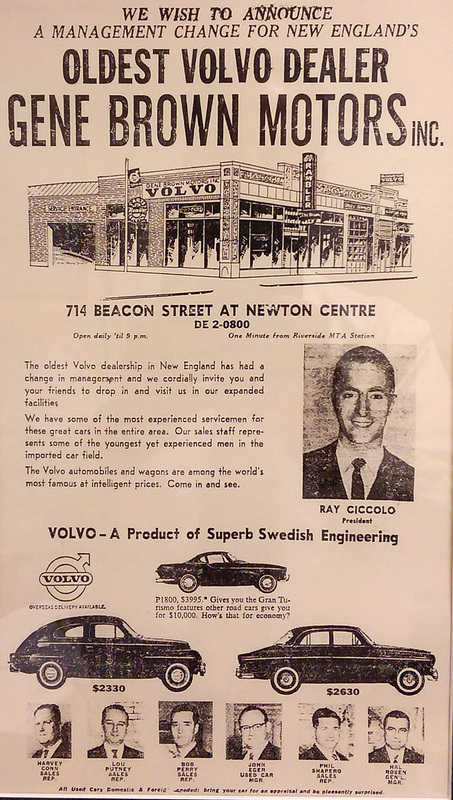 Ray began our Group in a neighborhood storefront/garage in Newton Center, MA in 1963. While times have changed and so have we, what has always stayed constant is a belief that we are part and parcel of our local communities. Stereotypes are not necessarily kind to automobile dealers, but dealers are often among the oldest businesses in many communities, not only succeeding by providing valuable services and bolstering the local economy, but also by often being the first to answer a local need or a call for help. We at The Village are proud of what we are, what we do, and how we contribute. We strive to be responsible and concerned corporate citizens. Whether it is sponsoring a Little League team, donating money to the local food pantry, or organizing a 5K to support a local charity, our stores are encouraged to step in and make a difference. Many of the efforts we support at a store-level are brought to us by our Employees themselves. Each of our Village locations supports a wide array of local charities and organizations. Click here to learn more.